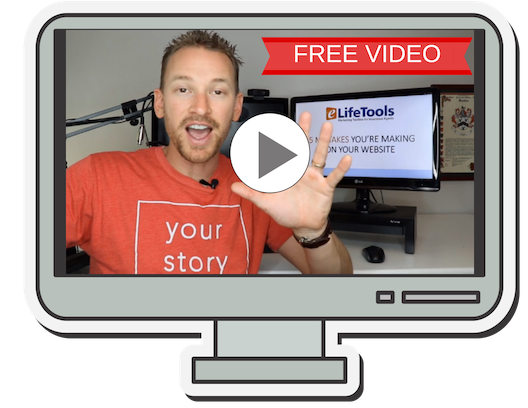 I’ve spoken often about the 4 things you need to generate traffic and leads on your site. Most agents can get the first 3 done, but when it comes to promoting their site and getting backlinks, they don’t put in the same amount of effort they did to create a nice site with good content. … but you HAVE to have that piece. 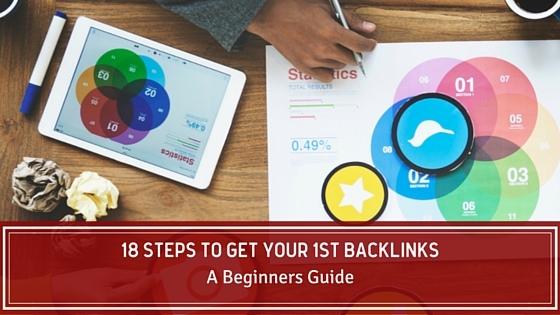 Lucky for you, I put together a simple, beginner’s guide for creating backlinks. Here are quick and easy ways to provide some much needed link juice to a newborn site. Heads up – this is a beginners guide. With these strategies alone and some fantastic content you should easily be able to generate 1,000 visitors per month, which roughly translates into 50 leads per month. 1. HARO (Help a Reporter Out): This is a fantastic resource. Requests for article ideas and quotes are posted in the morning and evening Monday – Friday from venerable media outlets that include The Wall Street Journal, The New York Times, Reuters & Time Magazine (to name but a few). 2. 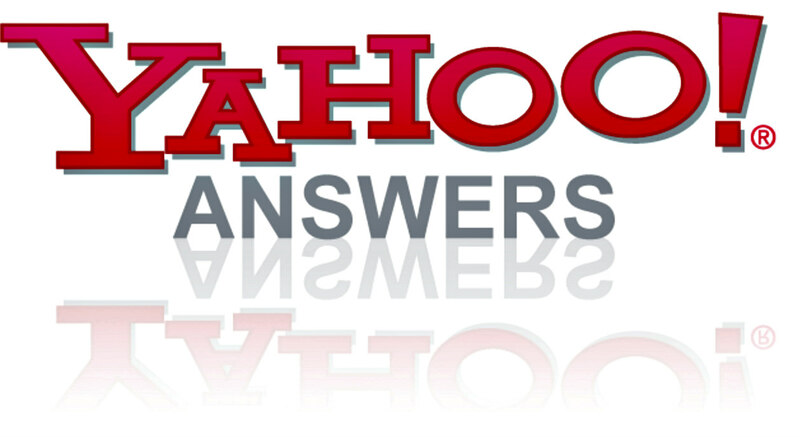 Yahoo Answers – Are you looking for dofollow backlinks from a PR9 site? Well yahoo answers is the place to be. Just add links to your answers and profile. If you have been registered with Yahoo for awhile, Yahoo backlinks are a no brainer! Unfortunately, spammers have ruined it for newbies – you now have to be a level 2 user on Yahoo answers to obtain dofollow backlinks. Invest some time to get to level 2. It’s worth it. 3. Ethics.Net – If you buy Errors and Omissions (E&O) Insurance from eoforless.com, you get a free ethics.net account. This a pretty quick and easy way to get a dofollow link. Check it out. 4. Social Media – There are many social media sites that build in “nofollow” tags to discourage spammers from making bogus accounts for backlinks – think Facebook and Youtube. Fortunately social media does provide many backlinking opportunities despite that little detail. LinkedIn: Another fantastic source for a “do follow” link on social media would be LinkedIn. 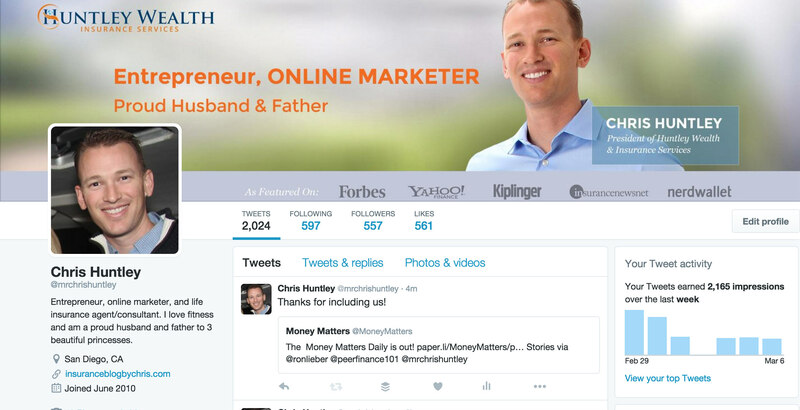 Simply set up a LinkedIn Account, edit your profile and add your website and voila. EASY as 1, 2, 3! Twitter: Twitter is a powerhouse and setting up an account alone will not result in a dofollow link…BUT if you add your website to your profile you will be given a dofollow link. Quick and Easy. 6. 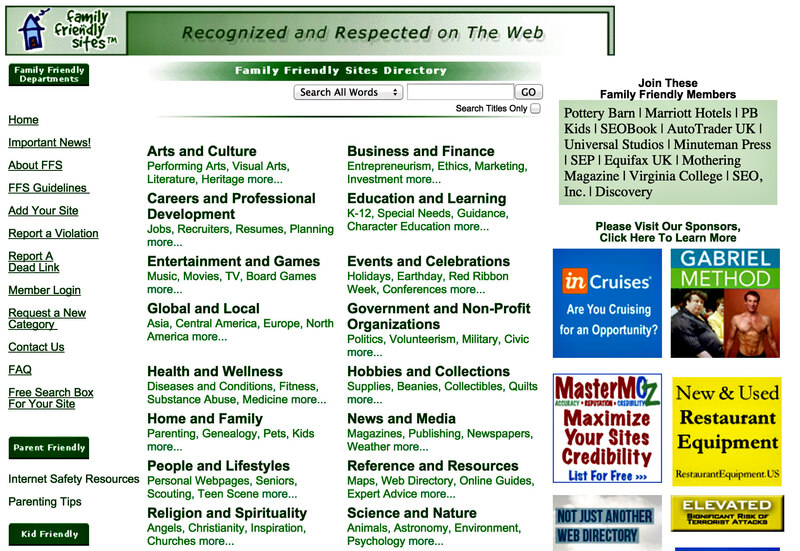 Citation Sites – These are sites that contain information about about your business such as the name, location, website address and phone number. They help Google determine what your business is all about – which in turn helps you rank higher in search results. Here are some fanstastic sites that you should submit your information to: hotfrog.com, manta.com, aboutus.org and local.com. 8. Scoop.It – Scoop.it is a content curation site that allows you to scan through news in a particular niche to share select information with your followers. This includes your postings as well as that of other influencers in your chosen niche. The key is to get really specific about your areas of interest and stick to it. The last thing you want to do is confuse your followers. To find the most relevant keywords use Google’s Keyword Tool. The next step is to set up your news feed. This is where you follow the newsmakers in your niche (you would include your content as well of course). You may be scratching your head right now and wondering – why you would share other people’s content along with your own? 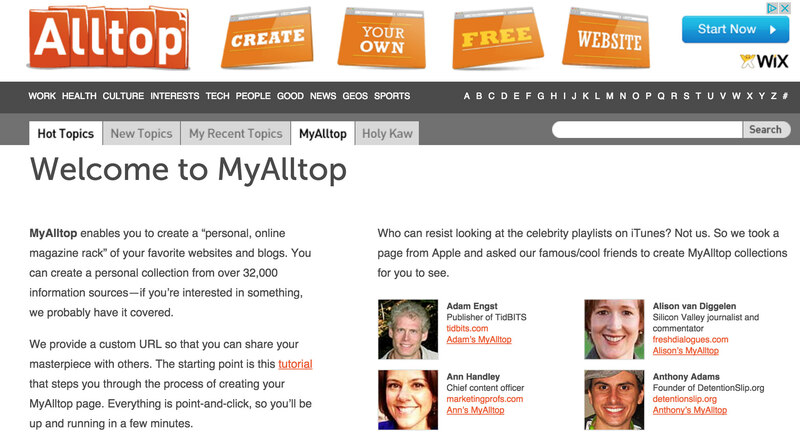 Scoop.It is a content curation site. You are in the position to increase your perceived authority on a chosen topic simply through your presentation of the information shared. Don’t blindly share news in your niche, make it your own by sharing your personal take on curated articles. It’s all in the presentation – you can even update images and teasers to handcraft your message. 9. Friends & Family – This is the most simple technique of all. Do you happen to know anyone with an online presence? If so, ask them to link to your site like this. It’s one of the quickest and easiest ways to get some link juice. Don’t worry if the sites are in unrelated fields – you will have the opportunity to connect with people in your niche as your site grows and develops, but for the time being, every little bit helps. 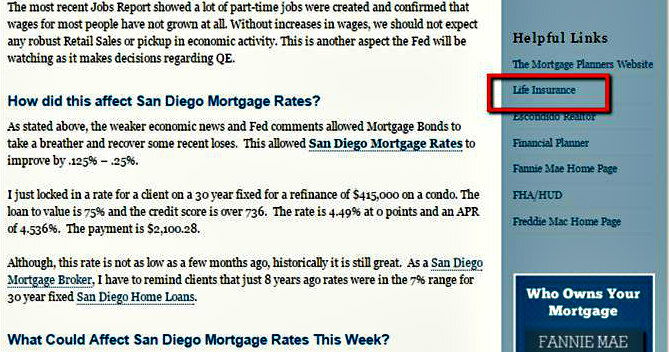 Here’s a link I got from a buddy of mine in the mortgage industry. 10. Business Associates – ask your lawyer, real estate agent, tax preparer, anyone you do business with, if they will link to your site. We don’t care what industry they are in for now. Any backlink will do. 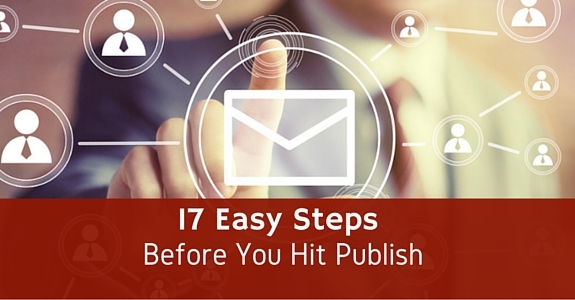 You could even write a guest post on their site, which would be even better. For example, I recently did business with a travel consultant, who helped me sign up for a couple credit cards with travel perks. 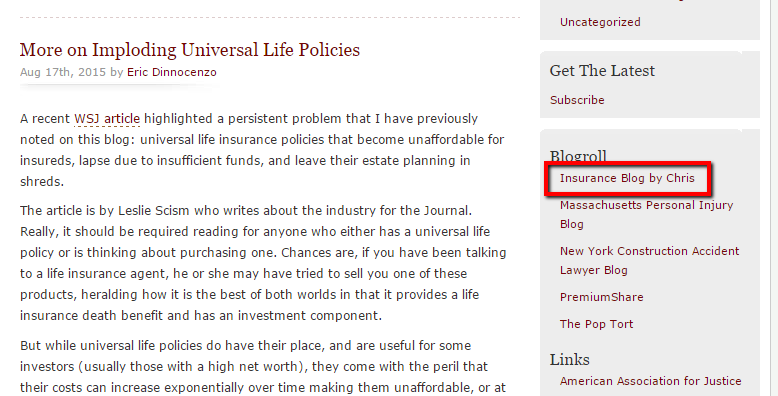 I then asked him if I could write a post about life insurance and travel for his site and he agreed. 12. NerdWallet – NerdWallet is a site that revolves around financial empowerment and education. They deal with topics such as credit cards, banking, investing, mortgages, loans and insurance. The best part is, they allow you to set up a profile (where you may add a link) where you can answer questions posted to the site. 13. Blog Comments – This is a fantastic way to get a little extra juice while growing your community. I told you before and I will tell you again…relationship building is VERY important. 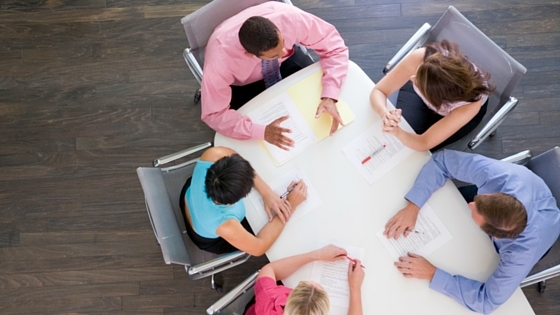 Pick out influencers and noteworthy blogs and take some time to comment. These links are not usually the strongest, but every successful site I know has uses this strategy. It adds link diversity to your profile and helps you develop and grow connections with other site owners. 16. Social Bookmarking – Social bookmarking provides a way for individuals to manage links to sites and posts that they enjoy and would like to share with others. Social bookmarking sites store this information which can seen by other members of the site. Some of the social bookmarking sites we use at Huntley Wealth are del.icio.us and digg.com and Scoop.it (see above in section 8 – I dedeciated a whole section on Scoop.It because we find it particularly useful). Once you learn how to use social bookmarking properly, not only will you generate more traffic but you will also improve your SEO. Bookmark your web pages by tagging them with keywords that will lead people who are searching the bookmarking site back to you. It’s super important to use these tools sparingly, so you do not look like you are gaming the system. This could have negative effects. 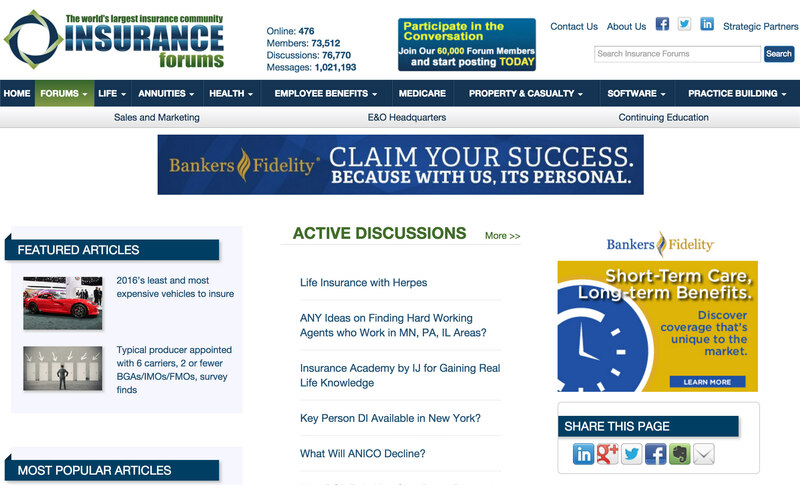 17. www.Insurance-forums.net – Please participate in this forum in particular and be sure to add a link in your signature. Again this isn’t a high power link but it does add diversity to your link profile. Reasons for joining and commenting on forums are very similar to commenting on blogs. It’s a fantastic way to participate in your community and to network. BONUS TIP – Updating Your Mentors – As you have success in business, keep in contact with anyone who has helped you and let them know about how you are progressing after they gave you advice. Example #1 – This is how I ended up getting featured by Brian Dean on his Backlinko site. He had been writing about list building and providing a bonus specific to the subject matter of the post you write. I tried it on our Compulife Post, offering a eBook guide on how to add the Compulife form to your site and how to update the look of your form for free, if they would only give me their email. It worked great so I emailed Brian and thanked him and told him about my success, and he featured me on his super high authoritative site with a link back to ELT! 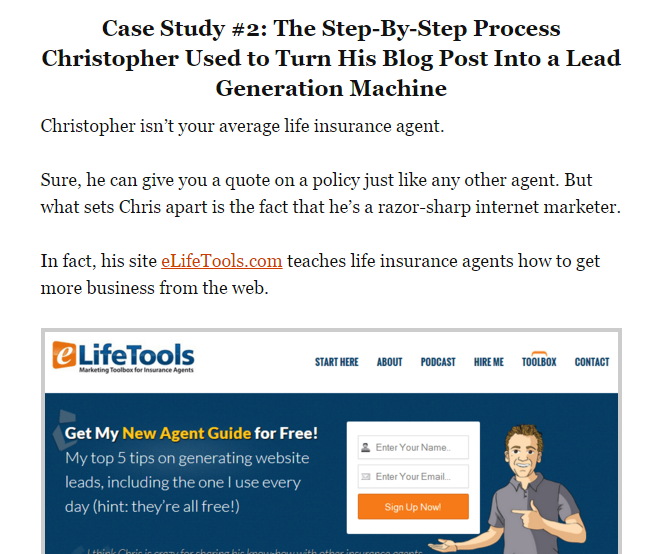 One day Matt wrote me back and was interested in starting an insurance site of his own for lead generation. I gave him some advice and told him he’d be better off working with a licensed agent who can provide top quality, insider’s content, (like me.) 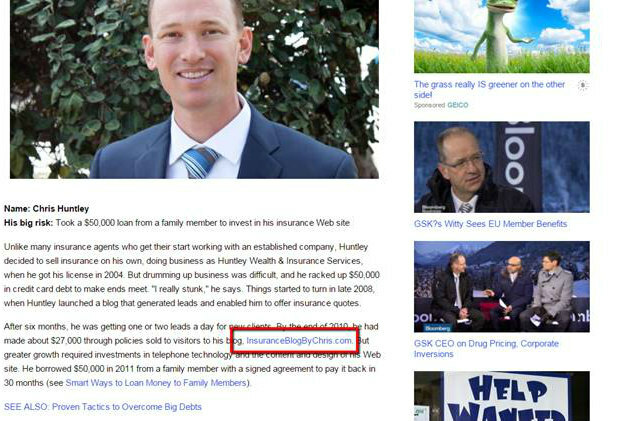 We ended up partnering up on TermLifeInsuranceMales.com and made boatloads of money off it. 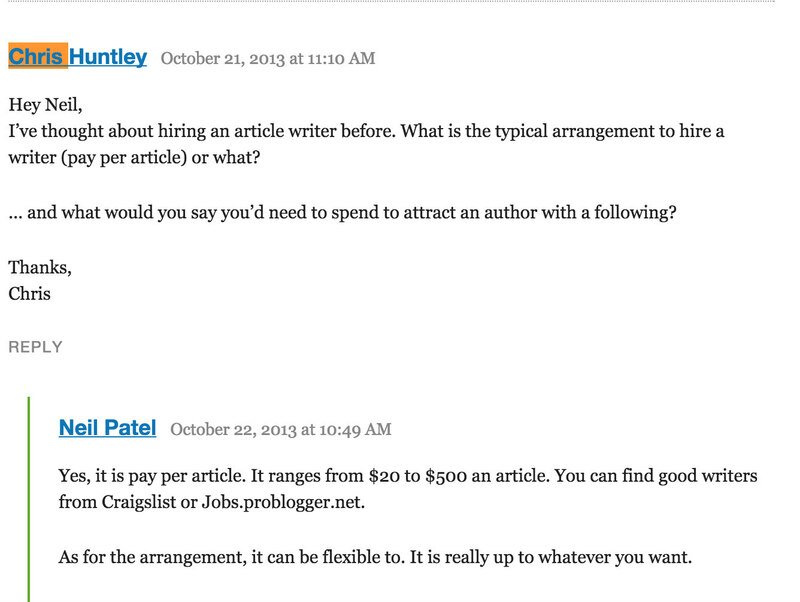 Again, you never know where your blog commenting and relationship building will take you. Be consistent. Provide value. The links and other opportunities will come. I knew some but never heard about HARO . Great post! Thanks Chris! Great article. Thanks to you, I have done several of these already but just learned a few more that I need to work on. 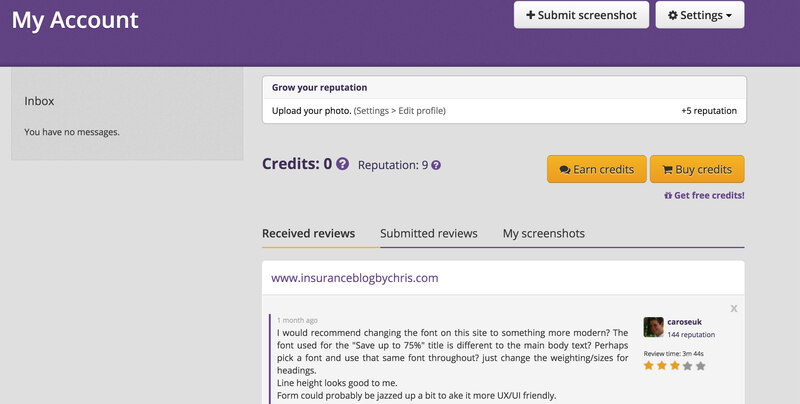 Thanks for the list Chris.. HARO has been wonderful for backlinks. I also found some good ones in the list. Will try these too. Yeah HARO is an awesome one! Great Article! Signed up for Insurance Forums. Awesome information. Just while reading your article, I have already completed several of your suggestions. Thanks again. Great suggestions. I had never heard of HARO before, but will be using it going forward. I also appreciate the advice to keep working with Yahoo Answers and growing my ranking. Haro seems to be working for people but is it just in America or can you get it in the UK? There seems to be some answers to this here https://www.quora.com/Is-there-an-international-or-UK-equivalent-of-HARO-help-a-reporter-out.